Previous clubs: Rotherham United, Burton Albion, Ilkeston Town. Appointed as joint manager with Rob Scott in May 2009. Hurst had a long playing career as a defender with Rotherham United. 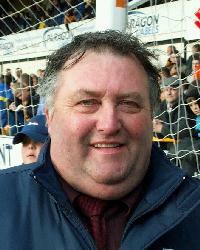 He turned out 497 times for the Millers over fifteen seasons with the club. As joint manager with Rob Scott he took Ilkeston Town to promotion from the Unibond League Premier Division via the playoffs in 2008/9. Previous clubs: Sutton United, Sheffield United, Scarborough, Fulham, Carlisle United, Rotherham United, Oldham Athletic, Macclesfield Town, Halifax Town, Ilkeston Town. 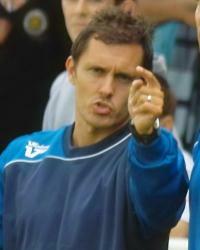 Appointed as joint manager with Paul Hurst in May 2009. A defender who began his football career with Sutton United before being signed up by Sheffield United for £20,000. He later played for Fulham, Rotherham United, Oldham Athletic and Macclesfield Town. As joint manager with Paul Hurst he took Ilkeston Town to promotion from the Unibond League Premier Division via the playoffs in 2008/9. Previous clubs: Sheffield United, Crystal Palace, Coventry City, Scunthorpe United, York City, Alfreton Town, Gainsborough Trinity. 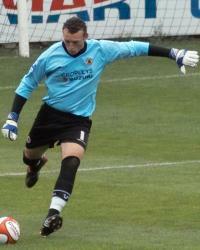 Experienced keeper Tom Evans signed for the Pilgrims from Alfreton Town in July 2009. Youth team keeper who has performed well when called into the first team. Previous clubs: Grimsby Town, Boston Town. 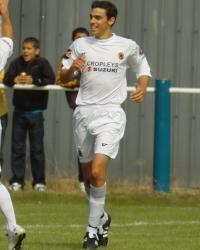 Liam Parker signed for the Pilgrims from neighbours Boston Town in June 2008 shortly after his brother Wes had also joined the club. He had started his footballing career as a schoolboy with Grimsby Town. Previous clubs: Millwall, Arsenal, Northampton Town, Torquay United, Shrewsbury Town, Notts County, Halesowen Town, Gainsborough Trinity. 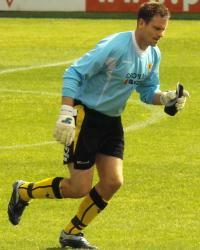 Boston United originally signed up Lee Canoville on a two year contract in June 2005 after he was released by Torquay United. He began his footballing career as a trainee with Millwall. He then joined Arsenal in 1997, making a single appearance from the substitutes' bench before moving on to Northampton Town. He had four seasons with Torquay, seeing them both promoted to Division Two in 2004 and relegated back to Coca Cola League Two in 2005. He left Boston to join Shrewsbury Town and later played for Notts County. 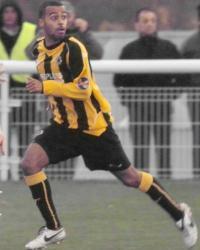 He dropped into non-league with Halesowen Town and had a loan spell with Gainsborough Trinity before rejoining the Pilgrims in July 2009. Previous clubs: Spalding United, Stamford. 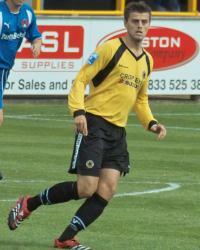 Centre-half Shaun Pearson joined Boston United's in July 2009 from Stamford after winning the Player of the Year award at Stamford and his previous club Splading United a year earlier. Previous clubs: Mansfield Town, Ilkeston Town. 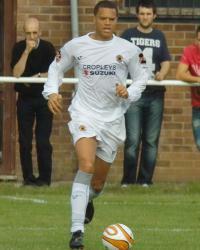 Attacking defender Chris Wood signed for Boston United after having a season with Mansfield Town as a professional. He had also had a loan spell with Ilkeston Town and had impressed managers Rob Scott and Paul Hurst sufficiently that they signed him up after they switched to the Pilgrims. Previous clubs: Nottingham Forest, Hucknall Town, Stafford Rangers, Gainsborough Trinity. 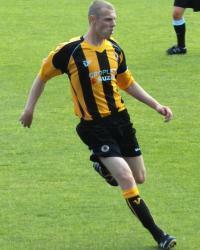 Versatile defender James Cullingworth signed up with Boston United in July 2009 after impressing in pre-season trials. 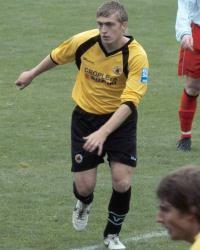 Local lad Adam Millson joined Boston United's Centre of Excellence in July 2006 and has progressed to the first team, making his debut against Barrow in March 2008. 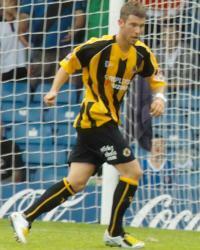 He was voted Boston United "Player of the Year" for 2008/9. Previous clubs: Newport County, Redbridge, Ilford, Ilkeston Town. 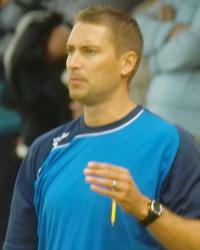 Anthony Church joined Boston United in July 2009 after helping Ilkeston Town to promotion the previous season. He had also been a regular in the English Universities side playing alongside fellow current Boston United players and Loughborough University team mates Danny Sleath and Mikel Suarez. Previous clubs: Rotherham United, Gainsborough Trinity, Sheffield, Ilkeston Town. 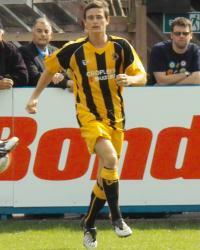 Marc Newsham joined Boston United in June 2009 after helping Ilkeston Town achieve promotion to the Blue Square North. He started his footballing career with Rotherham United playing alongside current fellow Boston United striker Jamie Yates and manager Paul Hurst. He had loan spells with Sheffield FC and Gainsborough Trinity whilst at Rotherham. 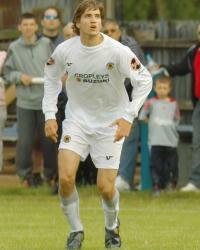 Mikel Suarez became Boston United's first Spanish player when he joined the club in July 2009 following a successful pre-season trial. He had previously been playing for Loughborough University in the Midland Combination. Previous clubs: Nottingham Forest, Macclesfield Town, Lincoln City, Bradford City, Notts County, Ilkeston Town. 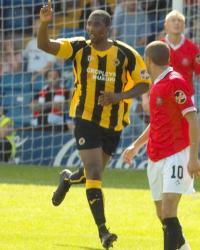 Striker Spencer Weir-Daley joined Boston United in October 2009 after briefly turning out for Ilkeston Town. He had started his footballing career with the Academy at Nottingham Forest and he scored on his first team debut for Forest against Gillingham in August 2005. However he only made eleven starts for Forest - scoring twice - before moving on to Notts County in 2007. He has also had loan spells with Macclesfield Town, Lincoln City and Bradford City. Previous clubs: Rotherham United, Burton Albion, Kettering Town, Alfreton Town. 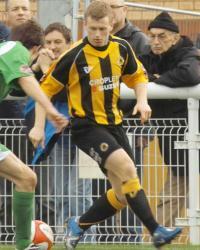 Jamie Yates joined Boston United on non-contract terms in September 2009 from Alfreton Town. He started his footballing career with Rotherham United - scoring four goals in seven starts before moving on to Kettering Town after having a loan-spell with Burton Albion. Whilst at Rotherham he played alongside current fellow Boston United striker Marc Newsham and manager Paul Hurst. Previous clubs: Derby County, Crawley Town, Stafford Rangers, Burton Albion, Tamworth, Solihull Moors, Alfreton Town, Matlock Town. 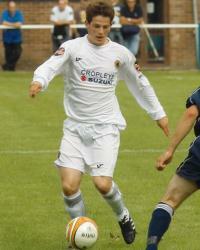 Danny Davidson began his footballing career with Derby County, but he soon dropped into non-league football. He signed for Boston in August 2009 from Alfreton Town after spending the end of the previous season on-loan at Matlock Town. Boston United Database copyright © Ken Fox 2009.